Question: "I've been concerned with what my daughter has been doing on her phone recently. She has become too secretive and I'm worried plus she is always on that phone. How do I monitor what she is doing and read her messages?" This is done using an efficient and secure iTunes and iCloud data recovery software called iMyFone D-Back (compatible with iOS 12). 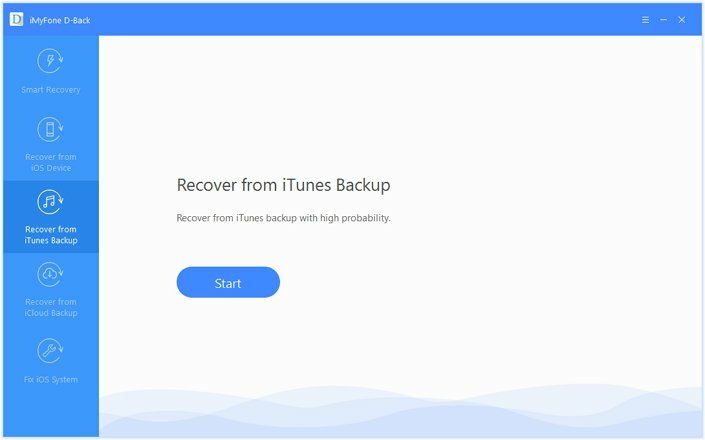 It can be used to recover iPhone data, regardless of how you lost it. 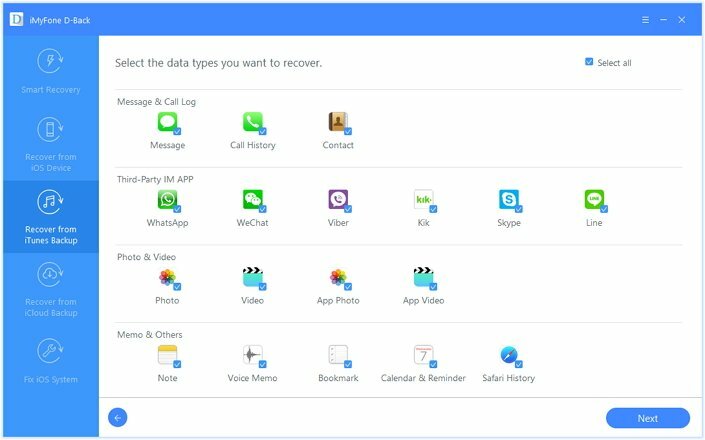 It even helps to recover lost or deleted files, so you can still get the information you want, whether it has been deleted or not. 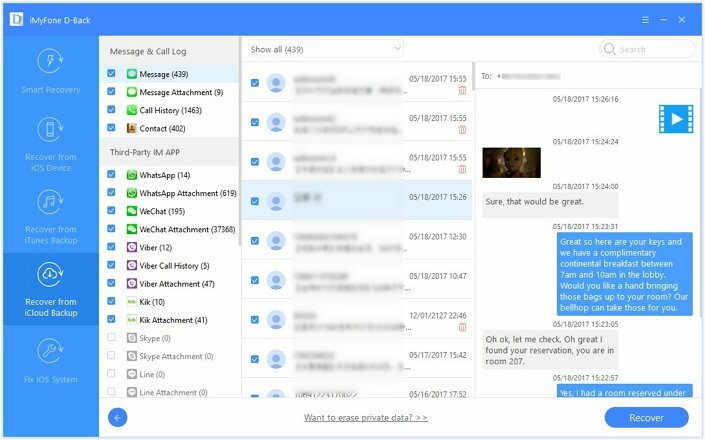 It supports various types of data such as text messages, photos, videos, notes, WhatsApp messages, Kik messages, Viber messages, WeChat messages and more. iMyFone D-Back works with iPhones, iPads and iPods touches. Step 1: First, download and install the iMyFone D-Back on your PC. This program works perfectly with various iOS devices and iOS versions including iPhone XS, iPhone XR, iPhone XS Max, iOS 11 and iOS 12. Step 2: Launch the software, click on 'Recover from iTunes' and select 'Start'. Step 3: Select 'Messages'as the type of data you want to extract. 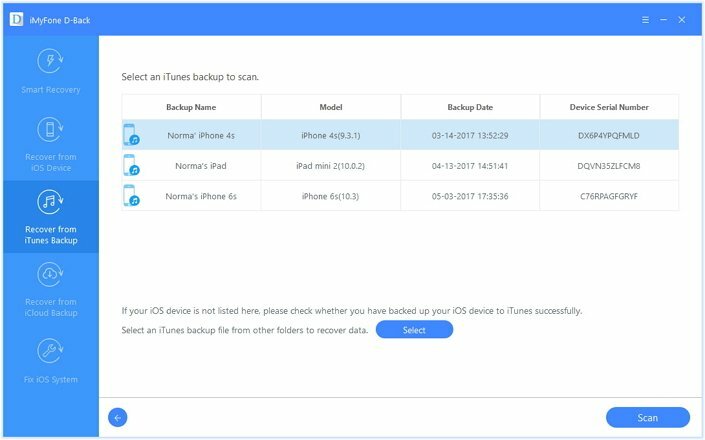 Step 4: Choose the iTunes backup you want to access and click 'Scan'. Step 5: Once the scan is finished, you will be shown the available text messages from your iTunes backup. Step 6: If you want to save the text messages, click 'Recover' and your data will be saved onto computer in a few minutes. 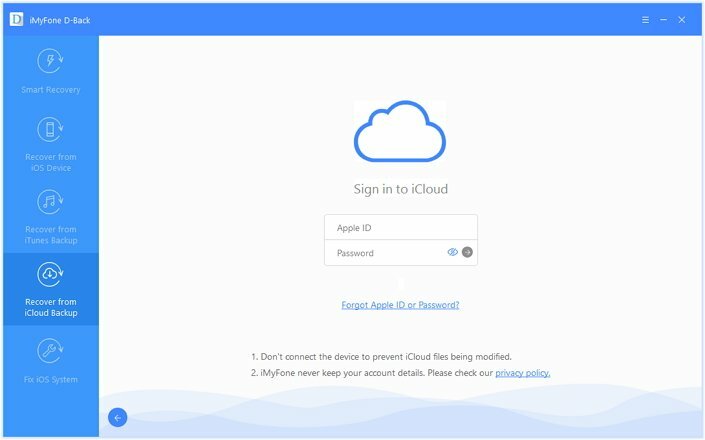 Step 2: Select the files you wish to read - 'Messages'and then sign in your iCloud account(iMyFone does not retail personal details such as this). 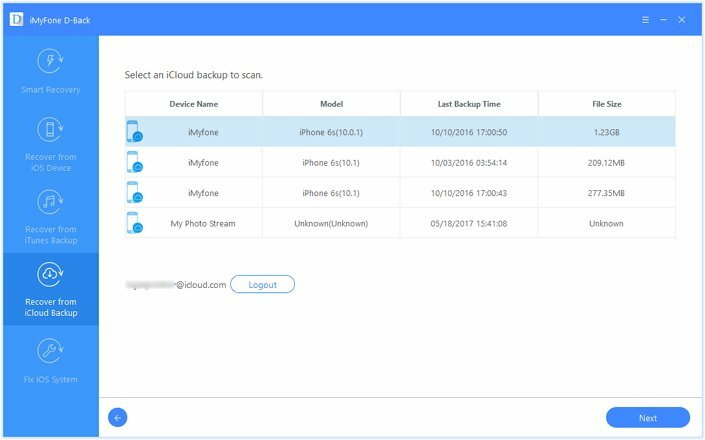 The iCloud backup made for iOS 11 is also supported. Step 3: You will be shown all your backup files and then, you can select which you will like to view. Step 4: A scan will start, once it is done, you can read all the messages from iCloud. If you want to save some of them, just select the files and click 'Recover'. Your files will be downloaded in a few minutes.